This paper seeks to contribute to current debates about the nature of youth transitions. Transitions research seeks to account for more than just individual-level maturational processes, recognising that the pathway from childhood to adulthood is heterogenous and subject to the influence of macro-level factors such as political, social and economic environments. Within these larger debates this paper has a particular concern with three things. First, responding to calls for research to gather a diverse suite of indicators when examining youth transitions, it examines a range of potential indicators in terms of how they might help us understand better the transition experiences of a group of vulnerable young people. Here improvements in individual-level and neighbourhood-level indicators are observed alongside increasing educational risks and high levels of family risk that remain stable over time. Second, building on the work of others, who have argued that we need to be concerned about the experience of transition as a process as much with the various destinations at which youth may arrive, it explores the ways these indicators change over time. Third, by focusing specifically on the in-transition experiences of a group of youth who face more than the ‘normal’ range of challenges during adolescence it seeks to add to the corpus of knowledge concerning the heterogeneity of youth transitions. The authors thank the Ministry of Business, Innovation and Employment for funding this research programme. They also gratefully thank all the young people and their supporters who participated in the research. They acknowledge the contribution of Dr Linda Liebenberg and Professor Michael Ungar, the Resilience Research Centre, Dalhousie University. Finally, they acknowledge the contribution of the Donald Beasley Institute, the University of Otago, Youthline NZ and Kapiti Youth Support and all the other researchers who helped with the research. Berzin, S. (2010). Vulnerability in the transition to adulthood: Defining risk based on youth profiles. Children and Youth Services Review, 32, 487–495. doi: 10.1016/j.childyouth.2009.11.001. Munford, R., & Sanders, J. (2015). Understanding service engagement: Young people’s experience of service use. Journal of Social Work. doi: 10.1177/1468017315569676. Roberts, S. (2010). Misrepresenting ‘Choice Biographies’? : A Reply to Woodman. 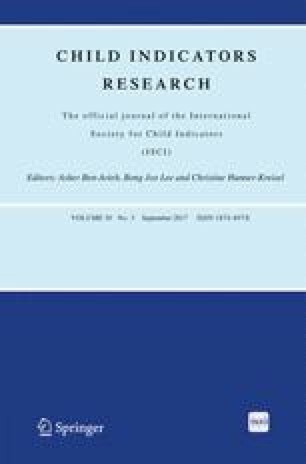 Journal of Youth Studies, 13(1), 137–149. doi: 10.1080/13676260903233720. Sanders, J., Munford, R. & Thimasarn-Anwar, T. (2016). Staying on track despite the odds: Factors that assist young people facing adversity to continue with their education. British Journal of Educational Research, 42(1), 56–73. doi: 10.1002/berj.3202.